This weekend, our church congregation had our annual Christmas party. The highlight of this party for the adults is always when the children file on stage, dressed in the characters of the nativity, and sing about the the birth of Jesus. The highlight for the children is a visit from Santa Claus. 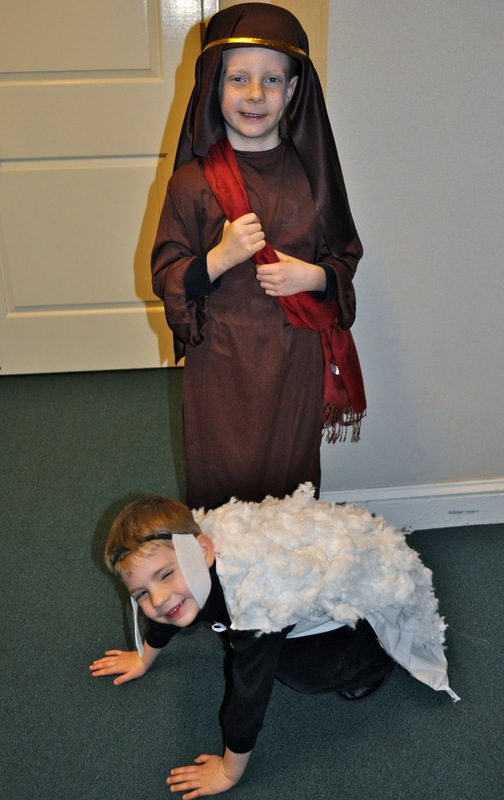 This year, Caleb was assigned the role of Joseph. Caleb loves to dress up...for Halloween. Otherwise, he is not very keen on the idea. I convinced him that he only needed to don his robe and sash for 10 minutes and then he would be all done for a whole year. He finally acquiesced, but not before Isaac became wise to the fact that he was not included in any of these discussions. 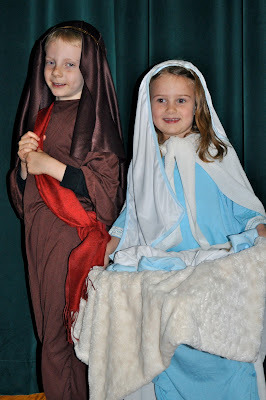 You see, Isaac, at 3 years old, was not old enough to be included in the nativity play. When he realized there would be no dressing up for him, he was distraught. "Who can I be, Mommy?" he asked over and over. 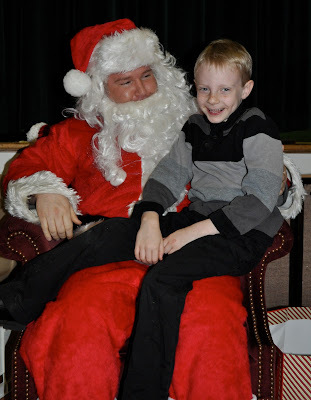 I work with the children's program so I decided since he is just weeks away from legally being old enough, it couldn't hurt for him to participate. But all the major and minor roles had already been assigned...it was the morning of the performance after all, when we finally got around to this conversation. So, I suggested he be a sheep. 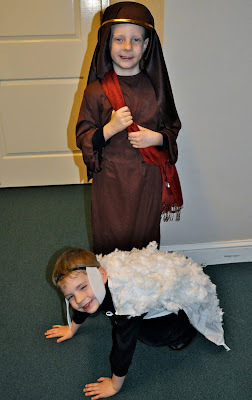 We hadn't assigned any sheep, and everyone knows those shepherds did not show up at the stable without their sheep in tow. His face lit up. "I'm going to be a sheep, I'm going to be a sheep!" He yelled as he jumped and danced around. Then he stopped in his tracks, looked at me and said, "but, where's my costume?" WHERE INDEED! I spent the next few hours pulling the seams out of an old white pillowcase, dismantling a throw pillow that long ago was replaced with a newer model, hot gluing batting (and my fingers on more than one occasion), and sewing ties and elastic in strategic places. Finally, just seconds before he went on, I made an elastic headband with felt ears. It was barely tacked together and he was under strict instructions not to touch it -- he didn't. And, or so I was told by several in attendance, his sheep was the hit of the show. Most of all, however, he was delighted to be included and that is the best outcome of all. 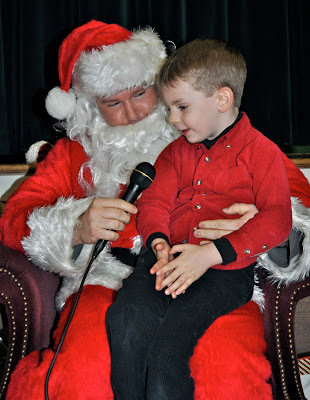 Later, Santa showed up and the boys told him what they wanted him to bring them. Luckily, they have not changed their heart's desires in months, so they are going to be pleased next Sunday morning when Santa has left them exactly what they're expecting. What a clever elf he is! What a good mommy you are! Love the sheep, and he looks so happy!! Great job! That gluing of batting (and fingers) turned out beautifully! He looks adorable and so does Caleb as Joseph.